On February 5-7, at Black Mountain Retreat Center near Cazadero, a group of Kehilla’s leaders, including staff, spiritual and musical prayer leaders, and lay leaders, will gather for Kehilla’s first annual Leadership Retreat. Our working weekend will be facilitated by Susan Colson. At the age of 31, Kehilla is becoming an organizational grown-up. We are a beloved home to people who have been part of Kehilla from day one, to people who walked in the door for the first time this year, and to many in between. We come to Kehilla to pray, to do justice work, to sing, to mourn, to walk a path of personal liberation, to give our children a joyful connection to the gifts of their heritage, and for so much more. Built by the energy of our visionary founders, we are also sustained by the vision and creativity of our newer and younger members. We’re in a time of organizational transition, and we’re developing new practices that can keep us supple, healthy, and strong as we grow. 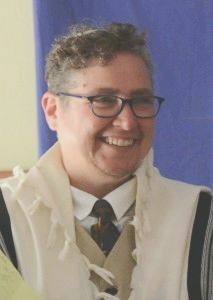 We are inviting in and integrating a new generation of people who share Kehilla’s vision of Judaism as a radical spiritual and political practice that can bring transformative change to our lives and our world. We’re not so much passing the torch as we are tending the torch, and using it to light more and more torches. As part of the deep work of organizational transition and development, we’re convening this leadership retreat. Its purpose is to widen the circle, and to open and connect the smaller circles, of people who are thinking well and deeply about Kehilla’s health and future. The retreat will bring together our staff, board members, committee chairs, spiritual leaders, musical prayer leaders, and others who are investing time and energy in sustaining and growing our community. We’re also reaching out to some newer folks, and to people who bring more demographic diversity to our leadership, including young adults and people with school-age kids. No decisions will be made for Kehilla at the retreat. The idea is to bring together people from the many different centers of energy that pulse through our community, to weave new connections among people, and to draw diverse voices into a shared narrative of Kehilla’s story—past, present and future. And to bring all of it back to seed even more connection throughout our whole community. Based on models that have worked well in other communities, attendance at this first retreat is by invitation. We’ve learned already that the group we want to convene has a fuzzy edge, and there are many more people who might be part of the retreat than we can accommodate – both because of space limitations at the retreat site, and because a moderately sized group (60-80 people) will allow each person who comes to have a real voice in the conversation. This first retreat will be an experiment, and based on the feedback from the whole community we will make adjustments for next year. We’ll report back to the community after the retreat. We welcome your feedback. 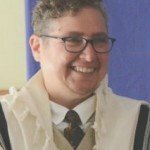 Please be in touch with Michael Saxe-Taller and/or Rabbi Dev with your questions, comments and suggestions. And save the date for another weekend away with our Kehilla crew. The Annual Retreat will be at Bort Meadow in Anthony Chabot regional park July 1-3, 2016! As a Kehilla member who lived for several years on land opposite the Black Mountain Retreat Center (which at that time was an honor prison camp) and who drove almost every weekend up there for many years, retreat participants should be aware that the road from Cazadero to the Camp is uphill and very windy. It can be hazardous if the road is wet and especially in the dark if you are not familiar with the road. Participants should make every effort to arrive before nightfall as driving up Fort Ross Road in the dark is not for the faint of heart. Also, there can be traffic getting up to Guerneville, especially, on Friday afternoons, so the 2 hour travel time prediction on the Camp website and on Google maps is very optimistic. And the nearest store is the small Cazadero General Store all the way back down into Fort Ross Road. But it is a beautiful location.